This is an Insightful question. Real Estate is a complex subject and involves a lot of details regarding the extensive Home Buying process. Now almost all of us would be looking to buying a Home at some point of time in their lives- It is a pretty important decision- in fact for the most of us, it is one of the most important Emotional- Financial decision of our lives. But do all of us know everything there is to know within Real Estate..? Trust me when I say this- All of us at some or the other point of time in our lives have heard a tale of two about things that take place in Real Estate- True or not, but we mostly tend to believe them. Though a lot of information is available on the Internet and people do tend of believe all or most of this information, but the truth is- all the information on the Internet is not equal or even accurate in some cases. When going out and deep diving into the Real Estate Market, know this- Read everything with a pinch of salt, unless experienced otherwise already. All Real Estate Agents are equally knowledgeable– This is one of the most common Real Estate myths about the Realty Agents. You need to understand the fact that all Real Estate agents have different kinds of skill sets, have a different kind of overall experience and different traits. How can an agent with only two years of experience in the business carry the same kind of skill set when compared with another agent who has been working in that particular area for the past 20 years and specializes in High end luxury property deals? 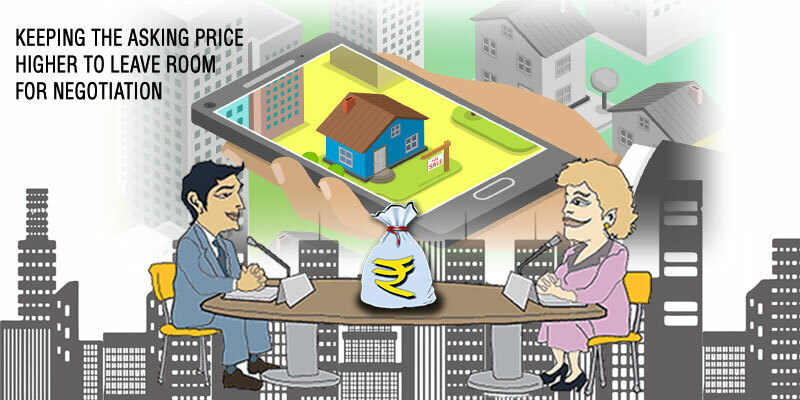 Keeping the Asking price higher to leave room for NEGOTIATION– A very common mistake made by the Sellers when getting their property listed in the Market is to list it a Price Higher than the General Market Price. They normally do so as they think that when an offer is made- such a thing would provide them enough room for negotiation. Since this makes your Home overpriced, most buyers won’t even look at your Home because it is out of their Budget, even though they may be ready for a little negotiation. Exquisite features or amenities present in the home would help me sell it at a HIGHER PRICE– Some home owners go over the board when designing their places of residence. Examples- Expensive Italian tiles imported specially or gold plated tabs in bathrooms, etc. Now this may sound very special to the Home owner, but to the prospective Home Buyer- this may seem to be of no interest at all. Result- AN OVERPRICED HOME. 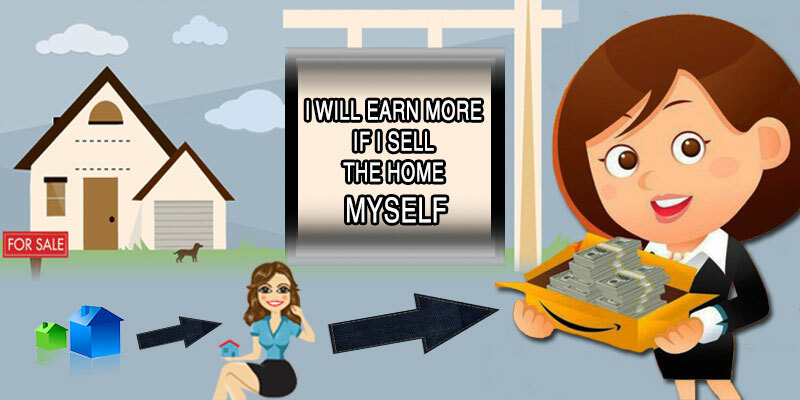 I will earn more if I sell the Home MYSELF– It’s absolutely TRUE that almost anyone can go ahead and Buy a house, even have a look inside the property without hiring a Real Estate agent. But unless you actually decide to go ahead and make HOME-BUYING a part-time job for yourself, I would suggest get an EXPERT. You need to expect a Return on everything that you have Invested in your Home over the years while going for a SALE– That re-done floor work getting it replaced with a Marble of your choice, the tile work done in the Bathrooms, the extensive Wooden work in the Master Bedroom- no doubt all of this makes your Home look great and does a bit of value to the same. However, you cannot expect to recover the entire cost of such items when selling your property. 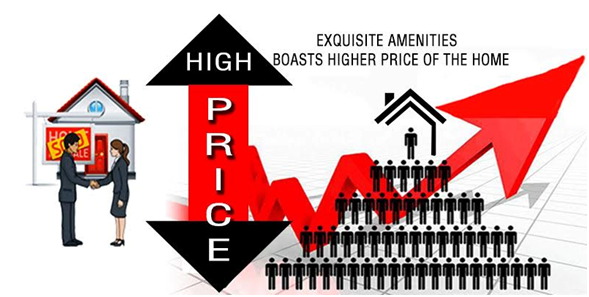 A lot of modifications done to the Home may appeal to the general Buyer as in trend with the Market, but it is the generalized Market price of similar homes that would ultimately be suggestive of the possible price on your Home that can be made by a Prospective buyer. Real Estate Agents will Say and Do Anything to Make a Sale– A common belief is that an agent would go to any lengths to close a deal, because they’re not paid until the closure of the deal. 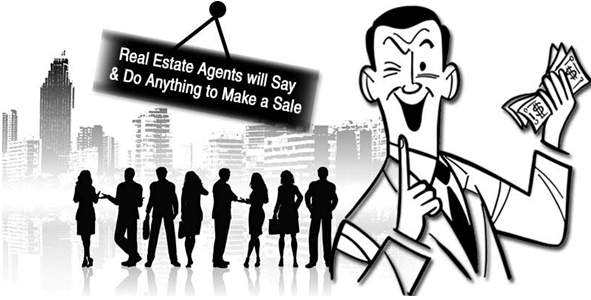 This myth may be possible because of the presence of a few unscrupulous agents in the market, but believing this notion to be true for all agents would be incorrect, as most agents rely heavily on referral business by word of mouth and repeat customer business. An agent who lies heavily is unlikely to receive any such business. You do need to make sure you hire a trust-worthy Real Estate agent when Buying or Selling a property that you can trust and are comfortable dealing with. The Market would only go up– A couple years ago during the boom tenure, people including Buyer, Sellers and even quite a bit of agents started believing that the Market would only go up considering the continual rise in the Property prices, Residential as well as commercial. But such a thing prevented them from noticing one prime fact- The Market always corrects itself. After every upward trend, there would always be a downward trend of the Prices up till a point wherein the Price stands corrected. The recent downfall/ recession should have reminded the masses that Real Estate prices can fall and yes, they do fall a lot. For those people who counted myths in the list of items above, well I would want to tell that this is not the end. There are definitely may more myths surrounding the Real Estate industry, but my advice on that- Always and Always make sure that while Buying or Selling a Home, some top home such as- Godrej Properties Noida, Tata Value Homes Noida , DLF Crest Gurgaon , Tata La Vida Gurgaon , Godrej Golf links Greater Noida , Godrej The Suites Greater Noida – cross check and recalculate every detail. There would always be a wide variety of factors influencing your Home buying decision, but at the end- if you’ve done your Home work right- the Home Buying experience would be a FRUITFUL experience for you and your family.